Congratulations to the 2018 Medallion Club Award Winners! We’d like to congratulate all of our Macdonald Realty agents who received a Victoria Real Estate Board or Vancouver Island Real Estate Board Award, a Fraser Valley Real Estate Board Medallion Club Team & Medallion Club Award or a Real Estate Board of Greater Vancouver Medallion Club, President’s Club or Medallion Club Team Award. We are proud to have you on the team! Same brand values. Brand new look. The beginning of a new Macdonald Realty. We’re excited to share with you the beginning of a brand new Macdonald Realty. What’s changed? We’re still the same company, with the same brand values. But we have a brand new look. We’ve been working with one of Vancouver’s savviest creative agencies to create a new logo and visual identity that aligns with the contemporary, well-respected and professional company that Macdonald Realty is. We wanted to bring a new energy that would really connect with both our agents and the public and reignite the pride agents feel working at Macdonald Realty. To highlight our commitment and showcase our new brand, we created a brand new video called ‘Connections’. Because above all, Macdonald Realty connects people with people, people with places, and places with people. Here are the latest real estate market statistics from Macdonald Realty on North Delta, Surrey, White Rock, Langley, and Fraser Valley listings and sales in September 2018. In the North Delta market, the benchmark sale price was $931,000 for detached homes. At the end of the month, there were 196 active listings and 25 sales. The condo market had 3 sales and 34 active listings. The benchmark sale price was $429,700. Townhomes featured 4 sales, 22 active listings and a $571,900 benchmark sale price. Here are the latest real estate market statistics from Macdonald Realty on the Greater Vancouver listings and sales in August 2018. In the Vancouver Westside, there were 59 sales of detached homes and 821 active listings at the end of the month. The benchmark sale price was $3,278,500, with average days on market of 66. The hottest markets for sales was Kitsilano with 11 sales. In comparison, the condo market had 276 sales, 1,139 active listings and a benchmark sale price of $825,000 with an average of 30 days on market. The hottest market for sales was Downtown VW, 66. sales. Townhome sales were 33, active listings were 203. The benchmark sale price was $1,267,800 with an average days on market of 43. Fairview VW with 8 sales was the hottest market of the month. It’s a buyer’s market for townhouses and houses. Here are the latest real estate market statistics from Macdonald Realty on North Delta, Surrey, White Rock, Langley, and Fraser Valley listings and sales in August 2018. In the North Delta market, the benchmark sale price was $949,900 for detached homes. At the end of the month, there were 182 active listings and 30 sales. The condo market had 4 sales and 34 active listings. The benchmark sale price was $432,400. Townhomes featured 6 sales, 18 active listings and a $598,700 benchmark sale price. Here are the latest real estate market statistics from Macdonald Realty on Okanagan listings and sales in July 2018. There were 201 sales, 1,230 active listings, and a $782,398 average sale price for detached homes in the Central Okanagan market, including Kelowna and Lake Country. The average days on market were 44. The condo market featured 129 sales and 571 active listings at the end of the month. The average sale price was $343,315 with 49 average days on market. Townhome sales were 61, active listings were 361, average sale price was $518,211, and the average days on market were 60. Here are the latest real estate market statistics from Macdonald Realty on the Greater Vancouver listings and sales in June 2018. In the Vancouver Westside, there were 81 sales of detached homes and 877 active listings at the end of the month. The benchmark sale price was $3,392,500, with average days on market of 43. The hottest markets for sales were Kitsilano and Cambie with 12 sales each. In comparison, the condo market had 328 sales, 1,214 active listings and a benchmark sale price of $842,600 with an average of 20 days on market. The hottest market for sales was Downtown VW, 63. sales. Townhome sales were 47, active listings were 228. The benchmark sale price was $1,303,600 with an average days on market of 21. Fairview VW with 14 sales was the hottest market of the month. Here are the latest real estate market statistics from Macdonald Realty on North Delta, Surrey, White Rock, Langley, and Fraser Valley listings and sales in June 2018. In the North Delta market, the benchmark sale price was $957,800 for detached homes. At the end of the month, there were 220 active listings and 32 sales. The condo market had 6 sales and 21 active listings. The benchmark sale price was $433,200. Townhomes featured 7 sales, 21 active listings and a $627,700 benchmark sale price. Here are the latest real estate market statistics from Macdonald Realty on Greater Victoria, Parksville/Qualicum, and Nanaimo listings and sales in June 2018. In June 2018, there were 292 sales of single family homes and 920 active listings in the Greater Victoria. The benchmark sale price was $745,100 with an average days on market of 29. The hottest markets for sales were Saanich East and Langford with 51 and 60 sales respectively. There were also 12 sales and 169 active listings at the end of the month for waterfront homes. In comparison, the Condo market had 230 sales, 445 active listings at the end of the month. The benchmark sale price was $486,100 with an average days on market of 28. The hottest market for sales was Victoria, 89 sales. Townhome sales were 81, active listings were 195 and the benchmark sale price was $594,300. The average days on market were 26, and the hottest market was Langford with 14 sales. Here are the latest real estate market statistics from Macdonald Realty on North Delta, Surrey, White Rock, Langley, and Fraser Valley listings and sales in May 2018. In the North Delta market, the benchmark sale price was $958,500 for detached homes. At the end of the month, there were 200 active listings and 38 sales. The condo market had 8 sales and 24 active listings. The benchmark sale price was $433,400. Townhomes featured 9 sales, 17 active listings and a $610,000 benchmark sale price. Here are the latest real estate market statistics from Macdonald Realty on Greater Victoria, Parksville/Qualicum, and Nanaimo listings and sales in May 2018. In May 2018, there were 333 sales of single family homes and 803 active listings in the Greater Victoria. The benchmark sale price was $738,500 with an average days on market of 26. The hottest markets for sales were Saanich East and Langford with 67 and 52 sales respectively. There were also 21 sales and 60 active listings at the end of the month for waterfront homes. In comparison, the Condo market had 237 sales, 445 active listings at the end of the month. The benchmark sale price was $485,600 with an average days on market of 24. The hottest market for sales was Victoria, 93 sales. Townhome sales were 72, active listings were 165 and the benchmark sale price was $592,300. The average days on market were 22, and the hottest market was Langford with 20 sales. Here are the latest real estate market statistics from Macdonald Realty on the Greater Vancouver listings and sales in February 2018. In the Vancouver Westside, there were 53 sales of detached homes and 772 active listings at the end of the month. The benchmark sale price was $3,500,600, with an average days on market of 52. The hottest market for sales was Dunbar with 8 sales. In comparison, the condo market had 331 sales, 665 active listings and a benchmark sale price of $835,800 with an average of 21 days on market. The hottest market for sales was Downtown VW, 84 sales. Townhome sales were 34, active listings were 129. The benchmark sale price was $1,250,100 with an average days on market of 21. Fairview and Kitsilano with 7 sales each were the hottest markets of the month. Originally from Taiwan, Hsu immigrated to Canada in the late 1970s – alone, with no family or friends, no job prospects and speaking little English. Today, she has turned Macdonald Realty into Western Canada’s largest full-service brokerage firm. From the moment Hsu purchased that single boutique residential firm, she had a vision. Today, the company’s interests encompass residential sales, commercial sales and leasing, property management, strata management, development and project management, project marketing and mortgage brokering and lending. It now includes the Macdonald Commercial and Macdonald Realty Platinum Project Marketing divisions. Hsu believes that a business model based on a fundamental principle of upholding the highest standard of excellence, coupled with a strong conviction that every problem has a creative solution, would allow Macdonald Realty to grow organically. “When you have the belief and knowledge that you are doing your best to adhere to your core values, problems, rather than deflating you, energize you to action,” adds Hsu. This year our Macdonald Realty Victoria office was a finalist for Employer of the Year in the 2016 Greater Victoria Business Awards held by the Chamber of Commerce! In addition, Victoria office’s Branch Manager Nathalie Ghoos was a finalist for Employee of the Year. Congratulations to all the nominees, finalists, and winners who were a part of this great event. Find out more info about the Victoria office in the video below. In June, Macdonald Realty agents, staff, frends and sponsors gathered for an afternoon in the sun at the Annual Charity Golf Tournament, held at Burnaby Mountain Golf Course. Photos from this fun event can be found on our Facebook page. Thank You to everyone who sponsored the event, as well as all the attendees! From politicians to bankers, charity mavens to retail entrepreneurs, these are the leaders who are having a big impact behind the scenes and at centre stage in British Columbia. That, in part, is why BCBusiness decided to do this survey of B.C.’s Most Influential Women: to put a distinctly female face on power and influence in B.C…. Influence: Taiwanese immigrant Hsu has helped turn Macdonald into one of the largest full-service real estate firms in B.C–and the gateway for Mainland Chinese investors. As seen in BCBusiness July 2015 issue. As the demands of the BC real estate market change, realtors and their respective real estate agencies must react accordingly to stay in the game. For one agency, this meant thinking outside of the box and stepping out of its time zone. Those services include residential resale, commercial sales and leasing, new development project marketing and property management. While American, Australian, New Zealand and European real estate companies had established offices in China, Macdonald Realty was the first company in China with a sole focus on Canadian real estate. The company decided to open the office as a response to their clients’ desire for better access to the Chinese market. Scarrow works with Chinese clients who are in the process of immigrating to Canada, with new Canadians and with pure investors. Those interested only in investment tend to look at new condos and commercial properties. “What resonates with investors in China is the perception of Canada as a safe and secure investment climate, in contrast with China’s robust, but volatile, environment,” says Scarrow. In order to stand out in today’s highly competitive real estate market, Macdonald Realty has undertaken several innovative marketing strategies. As technology has made property information widely available to the public, Scarrow notes that the role of the real estate agent has shifted: from gatekeeper of information to interpreter and negotiator. To meet the demands of those roles, Macdonald Realty has been working with an outside training organization to offer all agents the exclusive Certified Negotiation Expert (CNE) designation. Macdonald Realty has also launched its own magazine called Macdonald Realty Luxury Homes, to help market its luxury home listings in Canada and in China. Produced by the company’s own in-house creative marketing team, the magazine has proven to be a hit. This article was originally posted on BCBusiness, June 12th, 2015. When Vancouver-based Macdonald Realty dispatched Dan Scarrow, the agency’s vice-president of corporate strategy, to China last March to investigate the feasibility of launching a branch office in Shanghai, the assignment was initially only going to be for four months. A year later, Scarrow, a second-generation Chinese Canadian who is fluent in Mandarin, is still there. The Vancouver Sun reached Scarrow in Shanghai by phone last week to discuss his progress, objectives and challenges in building a bridge for residential and commercial real estate investment between China and British Columbia as the new managing director of Macdonald Realty’s Canadian Real Estate Investment Centre in Shanghai. Q When you first were dispatched to Shanghai at this time last year, it was for a four-month assignment to investigate opening up a Macdonald Realty branch in China. Why are you still there? A We actually have ended up opening up an office here. We have a representative office over here in Shanghai now doing project marketing and commercial and residential prospecting for our Vancouver and British Columbia offices. We’ve branded it as the Canadian Real Estate Investment Centre, so it’s offering a one-stop shop for Chinese investors looking toward anything to do with Canadian real estate, specifically B.C. Q Why did Macdonald Realty want a presence in China? A It was sort of two-fold. The first one is that Chinese investors are becoming a bigger and bigger part of our market — both on the residential side and the commercial side. And after our investigation over here we found that there are no other Canadian [real estate] companies over here in China that actively do this, so we would be the first one. Q What’s been the biggest adjustment living in China for you personally? A Shanghai is a pretty easy city for an expat to get used to. I think that the rest of China would be a much more difficult adjustment, but Shanghai itself is a pretty cosmopolitan city with a pretty global outlook and a pretty robust expat community. So it’s not as difficult. The challenge, I guess, that everyone talks about is the pollution aspect. They talk about it here the same way Vancouverites talk about the rain. Q What’s your mandate in terms of building links between commercial real estate in B.C. and the Chinese market? A Our main mandate is to promote B.C. commercial properties over here in China. I think we all acknowledge that China has been growing. It has created the fastest-growing wealthy and middle class in human history, so tapping into that market I think is going to be increasingly important for Canada and Canadian companies over the next decades. Q What’s the most common question you hear from Chinese clients interested in investing in British Columbia’s commercial real estate? A The most common question actually isn’t about real estate. It’s with what is happening in immigration. The biggest question is what is Canada’s current immigration policy and what will it be moving forward, just because there have been so many changes to Canada’s immigration policy in the last few years, and I think everyone is a little bit confused as to what it will be moving forward. Q Any unwelcome surprises or challenges doing real estate business in China? A Not really. It’s been interesting in the last year because there were the big changes to the immigration program — the investor immigrant program in the middle of last year and continuing until today. And also with the collapse of oil prices and the subsequent drop in the Canadian dollar. That’s been another thing we’ve had to deal with, but more in a positive sense from our investors’ point of view because now Canada’s real estate market is seen as even cheaper than it was prior to that change. Q In a blog post last year you wrote that wealthy clients in China are more interested in placing their children and a portion of their wealth outside of China than they are in immigrating themselves. Why do you think that’s the case, if it still is the case? A It still is the case. If you’re a wealthy Chinese individual it’s likely because you have a large business still in China. China does not recognize dual citizenship and it’s just more difficult for you to actively operate your business without Chinese citizenship. So a lot of people, they’re not willing to give up their business so they’re not willing to give up their Chinese passport either. Q Which areas of Vancouver’s commercial real estate market are your Chinese clients eager to get involved in? A For a lot of our clients it’s hotels. But it’s an education process as well, letting them know which asset classes are involved or available in B.C. Hotel investment is more of an active business, so while we have a lot of hotel operator clients who are interested in buying hotels, if they don’t have that kind of experience we like to talk to them about some of the other opportunities that might be available. Some of the hotter ones would be street-front retail with redevelopment potential. That goes very quickly for us. We probably have 15 very serious-type buyers that would snap up products like that immediately, but we can’t find enough product for them. It’s a lot of investment-type product that has income right now but has development potential in five to 10 years. Q What’s the next step for your operations in China? A Right now we’re working with a couple of developers to promote their projects over here [in China] and so we’re doing project marketing and then also working with our residential agents to make sure the listings that we have are exposed to the widest possible audience. And finally — obviously — exposure of the commercial real estate realm. I think that’s really the big push right now. A lot of investors have already bought a home for themselves in Vancouver and they’re looking for ways to diversify their investment portfolio in Canada, and really the promotion of the commercial real estate, and the education of those buyers, is our next step. This article was originally posted on The Vancouver Sun, February 24th, 2015. Written by Evan Duggan. Once again, for 2014, Macdonald Realty is number one on Business in Vancouver’s list of Biggest BC businesses owned by women. Lynn Hsu tops this list which in which businesses are ranked by total number of staff. Thank you to all of our Realtors and staff who make up this impressive number! See all the rankings at Business In Vancouver. 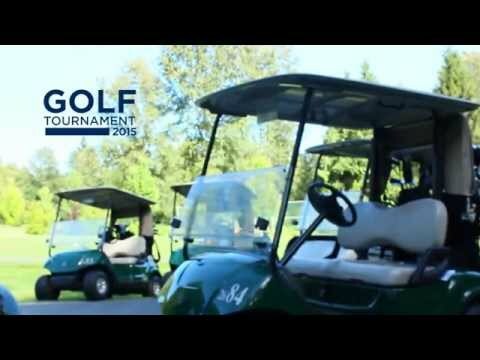 On Thursday July 11th 2013, Macdonald Realty hosted its annual golf tournament. Macdonald Realty staff, agents, friends and sponsors came together for this networking event in Richmond at Green Acres Golf Course. All the proceeds will be donated to Canadian Cancer Society, specifically research into lung cancer. Thank You! To everyone who sponsored the event, as well as all the attendees. After 70 years in business in British Columbia, and much consideration and analysis, Macdonald Real Estate Group has decided to explore opening an office in China. To that end, my colleague, Dan Scarrow, our vice president of corporate strategy, left for Shanghai early in February. In order to understand our rationale, it is first important to appreciate how Chinese investors have shaped the real estate market in Vancouver, B.C., where our company is headquartered. Over the past three decades, Macdonald Real Estate Group has assisted thousands of Asian families and investors in real estate transactions in the Vancouver area and across western Canada. In the 1980s and ’90s, there were overlapping waves of Hong Kong and Taiwanese investment, and more recently we have seen the mainland China wave. Our experience has given us the chance to develop a sizable network of Asian clients, both commercial and residential. While the official percentage of foreign buyers in the Vancouver area is around 3 percent, Chinese clients make up a much higher proportion of certain segments of the market. The exact percentage is hard to pin down, but our research would indicate that Chinese families account for at least 50 percent of Vancouver home sales over $3 million, and our commercial division has put together dozens of major transactions with Chinese investors on a range of commercial real estate asset classes. Asian clients are not arbitrarily choosing Vancouver as a destination for real estate investment. Our Chinese clients generally have close family and business ties to the areas in which they invest. For example, aside from business considerations, the primary factor in shaping immigration-related real estate decisions for Chinese families will be proximity and availability of educational opportunities for the next generation. That said, these clients often maintain a foothold in their country of origin, where they often have ongoing commercial interests. If we open an office in Shanghai, we will be better able to serve our clients who are based in China, or who those spend significant time there. They will have somewhere to go to review documents, and get insight on real estate issues. In addition, having a presence in China will give us another channel for promoting real estate opportunities. I will be providing periodic updates to Inman as we go through our due diligence in Shanghai. Hopefully you can find something in our experience that is useful to you in your business, or at the very least you can enjoy watching the process unfold. Jonathan Cooper is vice president of operations at Macdonald Real Estate Group (MREG). Based in Vancouver, British Columbia, MREG has 20 offices and 1,000 staff and Realtors, and offers a full range of real estate services across the province, including residential and commercial brokerage, property and strata management, and project marketing. This article was originally posted on Inman News, Feb 21, 2014. In 1985, while raising a young family, Lynn Hsu began her real estate career despite being a new immigrant with limited English and no social network. From 1987 through 1989, Hsu was the number one salesperson for Western Canada at a large, national real estate firm. In 1990, Hsu bought Macdonald Realty; at the time a single office in Vancouver’s Westside. Fast forward 25 years and Hsu is heading Western Canada’s largest real estate brokerage firm, with over 1,000 realtors working in 20 offices across British Columbia. Macdonald Realty’s reported figure for gross sales in 2010 was $4.7 billion. When asked which of her attributes helped her succeed as an entrepreneur, Hsu pointed to her ability to quickly recover from mistakes. “I’m a risk taker and I’m not really afraid of failure, but I do make a conscious effort to learn from my mistakes.” Fear can be a paralyzing agent in business and in life. In order to grow, it’s important to be willing to risk making the occasional mistake and then be ready to use your ingenuity to rectify the situation. Hsu’s colleagues would identify her boundless energy as her most valuable attribute. Her capacity to put in long hours and her tremendous appetite for problem solving have been indispensable both to the stakeholders of Macdonald Realty and to Hsu herself during the development of her entrepreneurial career. The readers of the Vancouver weekly newspaper The Georgia Straight have voted Macdonald Realty number one in the “Best Neighbourhood Real Estate Office” category. You can see the rankings here. Covering Vancouver business and culture, The Georgia Straight is a weekly publication with over 690,000 readers; for the 2010 (15th annual) Best of Vancouver rankings, the magazine received a record 10,000 ballots. With a total sales volume of $4.7 billion in 2009, Macdonald Realty placed first in the REAL Trends 200 survey of Canada’s largest brokers. The results were published in the May 2010 edition of REAL Trends magazine and reported by the National Post, Vancouver Sun, & The Province. Based in Castle Rock, Colorado, REAL Trends has been ranking the top 500 brokerage firms in the United States since 1988. This is the first year their publication has included Canada. We are very proud to have been named the largest brokerage firm in Canada during this inaugural list.